The airport of Kefalonia is located in the region of Svoronata, 8 km from Argostoli, the capital of the island. 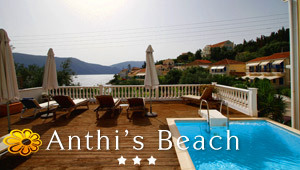 It receives daily flights from Athens and the flight time from Athens to Kefalonia is 45 min. In summer, the airport of Kefalonia also receives many charter flights from abroad and low-cost flights. Among the low-cost air companies that fly to Kefalonia from various European airports are Easy Jet and Ryan Air. Occasionally in summer, there are also charter flights between Kefalonia and other Greek airports, such as Corfu and Preveza. These charter flights are operated by Sky Express. The airport of Athens is the largest and busiest airport in Greece. It gets very busy in summer, which is the highest tourist season and this is when the airport receives direct flights from many countries in the world. Flights from the airport of Athens also fly to the local airport of the islands. Here are the main air companies that fly from/to Athens.